Los Angeles Director Dan Riesser will be in town, Saturday March 12th to screen his feature film Stomping Ground. Award-winning and critically acclaimed independent film, Stomping Ground is two-thirds romantic comedy and one-third creature feature. 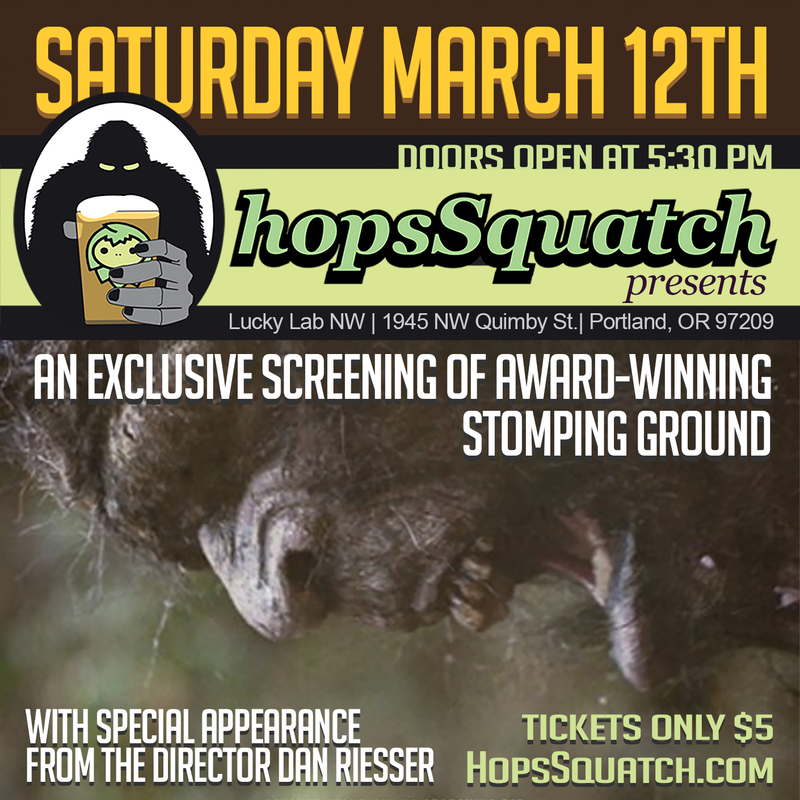 The event is hosted by sell-out bigfoot and beer speaker’s series, HopsSquatch, from 6-9pm at Lucky Lab NW. Stomping Ground premiered at the Dances With Films Festival, won the "Soul of Southern Film Jury Award" at the Indie Memphis Film Festival, and has been screened at festivals across the country. You have already seen Dan Riessers work before. Check out his hilarious Finding Bigfoot sketch he wrote, directed and produced for The Soup. The Soup - "Finding Bigfoot" from DAN RIESSER on Vimeo. Don’t miss your chance to be a part of this historic event. Limited space available, only $5 per person to attend. The Lucky Lab Brew Pub is located at 1945 NW Quimby St, Portland, OR 97209. For more information, please contact Guy Edwards at GuyEdwards@BrainjarMedia.com, 503.929.7436 or register online at HopsSquatch.com. 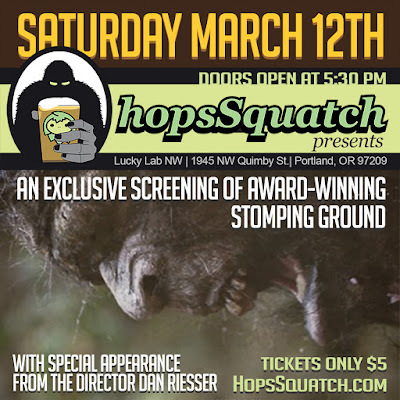 In its 5th year, HopsSquatch is a monthly bigfoot and beer event for bigfoot enthusiasts, researchers and pop-culture fanatics. Previous speakers include Finding Bigfoot TV Host Cliff Barackman; History Channel's go-to Anthropology Professor Dr. Jeff Meldrum; creature fx expert Bill Munns; acclaimed novelist Kirk Sigurdson and legends in the bigfoot community. You can also catch the trailer for Stomping Ground below.